Keeping fit at Queens Park in Bolton! The popularity of our new fitness range has found its way to Queens Park, Bolton and is proving a big hit with the local community. The equipment which can be found in the park include our Hip Spin, Push Up/Stretch Bars Combo, Upper Body Workout (Push Up/Pull Down/Dip Bars) Parallel Bars and Leg Push/Walker/Slalom Combo. 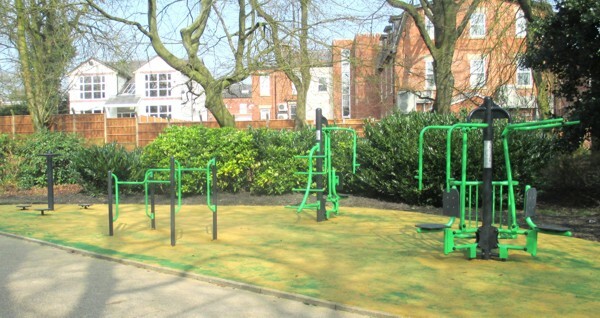 To Accommodate the communities demand, this fitness kit has been installed adjacent to the fitness equipment which was installed last year. This has doubled the area in size – a great way to play and work out in fresh air!